Despite the wide variety of watches that Rolex offers, only four different styles of bracelets exist. While the Pearlmaster bracelet technically counts as a bracelet option, it is produced in extremely limited numbers, and is exclusively fitted to Rolex’s gem-encrusted, precious metal, Pearlmaster line of watches. 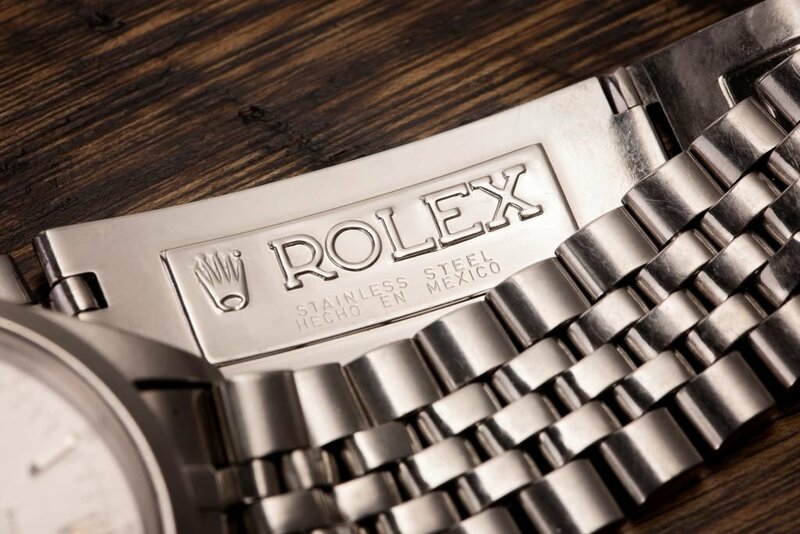 All the rest of Rolex’s various timepieces receive an Oyster, Jubilee, or President bracelet; however not all bracelet styles are available for all line of watch, and some bracelets are only craft from certain materials. First introduced during the late 1930s, the Oyster bracelet is Rolex’s original in-house bracelet design, and it is the only bracelet style that is available as an option on every single line of Rolex watches. Additionally, it is the only bracelet style that is manufactured in every single metal type/combination; and certain lines of Rolex watches, like the Submariner and Explorer, are only available with an Oyster bracelet. The Oyster bracelet uses Rolex’s iconic, three-link design, which has remained remarkably visually consistent since its initial introduction. The large, flat structure of its links makes it the most robust style of bracelet that Rolex manufactures, and it is the default option for many of Rolex’s professional lines of watches. Although the Oyster bracelet (like all other Rolex bracelet styles) has undergone a number of updates and improvements throughout the years, its overall appearance has remained largely unchanged, and its aesthetic has become one of the defining traits of the Rolex brand. Initially released in 1945, the Jubilee bracelet was specifically designed for the Datejust line of watches in celebration of Rolex’s 40th anniversary. When it was first introduced, the Jubilee bracelet was Rolex’s flagship offering, and was only available in solid gold. However, since the President bracelet has become Rolex’s premier bracelet option, the Jubilee is now manufactured in every single metal combination except platinum and white gold. The Jubilee bracelet uses a five-piece, semi-circular link design that has a more refined and elegant appearance than that of the Oyster bracelet. Much like Rolex’s other bracelet styles, the Jubilee bracelet has undergone a number of updates and refinements throughout the years, as Rolex continuously works to improve the reliability and functionality of their products. 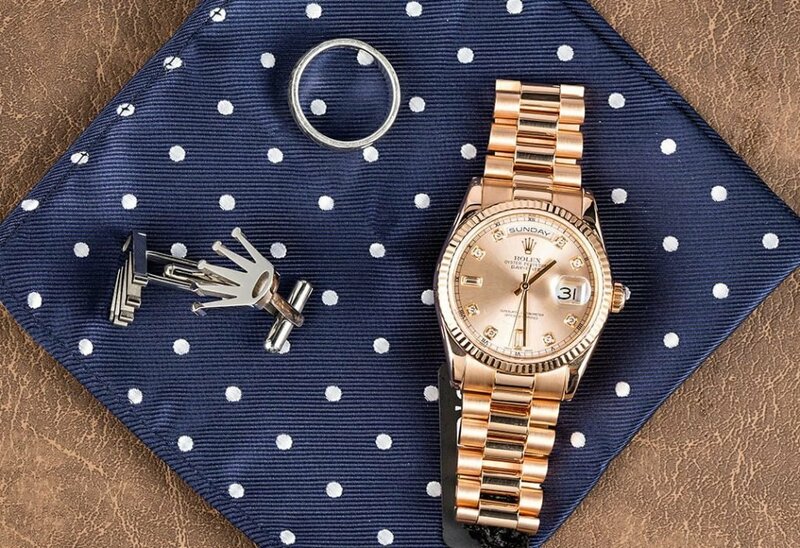 In years past, the Jubilee bracelet was fitted to a number of different lines of watches in the Rolex catalogue; however it is now only offered as an option on the Datejust and GMT-Master II lines of watches. Designed specifically for Rolex’s Day-Date line of watches, the President bracelet has only ever been crafted from solid 18k gold or platinum since its initial introduction in 1956. 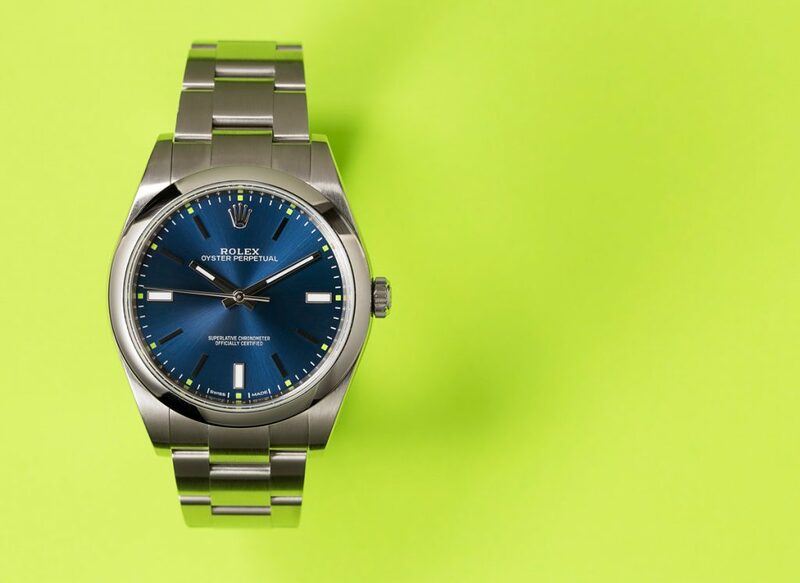 As Rolex’s flagship bracelet offering, the President bracelet is only offered as an option on the Day-Date line of watches and precious metal versions of the lady Datejust. The overall appearance of the President bracelet is somewhat of a mix between an Oyster bracelet and a Jubilee bracelet. Its three-piece, semi-circular link design provides it with a more elegant look and feel than the Oyster bracelet; however, the single, rounded center link gives it a less delicate appearance than the Jubilee bracelet, which uses three smaller links in the center. Contemporary President bracelets use ceramic inserts inside the links for enhanced durability and are always fitted with Rolex’s Crownclasp, a concealed clasp design that creates a seamless effect throughout the band.